Shopping for loved ones this Holiday Season has never been easier, or more fun! Target is the perfect place to stop and shop. Known for having just about anything under the sun, and quality brands you can trust, Target is reimagining toy shopping this year. In store and online, Target is bulking up their square footage to fit as many toys as possible. There are also some remodels on the way for the Toy Department to offer customers a one of a kind experience while they shop. 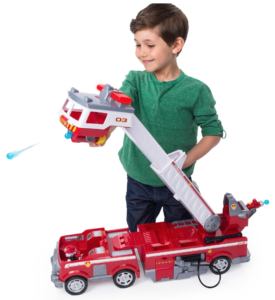 Plus, if your bustling holiday schedule is a bit overwhelming be sure to check out Target’s Toy Finder at Target.com so you can get everything done and still find the perfect gift. 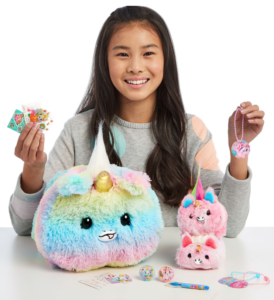 Lifestyle Expert Justine Santaniello gives us a sneak peek at a few of Target’s most popular toys picked from almost 2,500 new and exclusive toys that are in stock. The Pikmi Pops Giant Gigi the Unicorn is the perfect gift that is full of surprises! It will keep kids guessing, even after they have opened it. The giant ball of fluff flips open to become a colorful unicorn! The fun never stops with an interactive toy such as the FurReal Rock-a-Too Showbird who will have everyone on their feet singing and dancing along with their new fur friend. Inspiration from kid shows and movies are a great place to start when it comes to toy shopping. Popular programs are bringing the fun to life at Target with toys such as PAW Patrol Ultimate Fire Truck. All these and more can be purchased in-store and online at Target. And, be sure to watch the segment below for more “toy-spiration”!